This software application is acting like a remote control (control point/media controller) for media clients to play music hosted by a media server on the selected client. 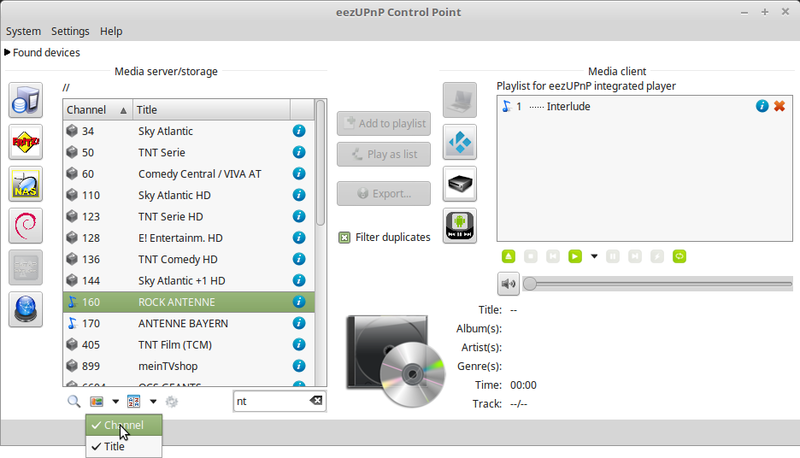 To use eezUPnP you need to have (one or more) media server(s) containing all your AV content and media clients able to play that content. This software has a focus on playing music, but can also do one thing with video content: streaming to remote players. 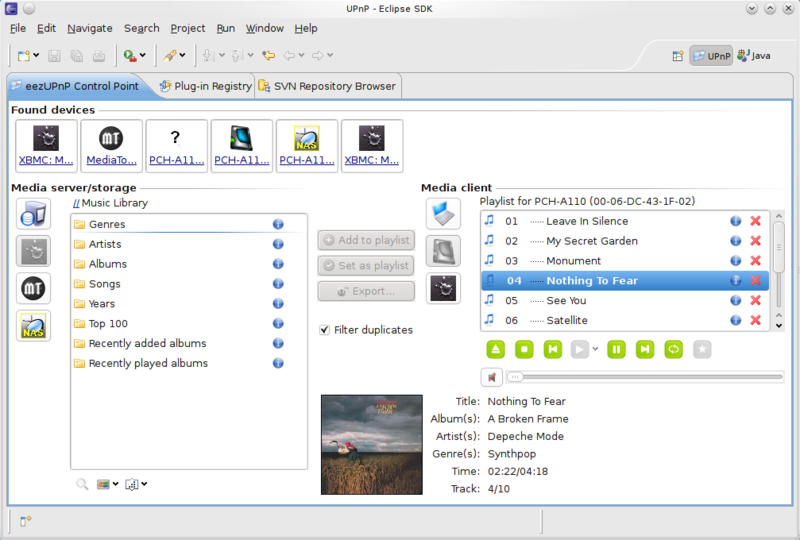 Selected content from any media server (DMS) is arranged as a user defined playlist and will be played by the media client (DMP/DMR). Also a limited number of local music and video file types can be streamed to remote players. The application is delivered as a set of platform specific archives. Extract the archive after downloading with a unpacker and run the executable. No more installation procedure is required. Before you download the software, please read the license agreement. * Please remember that you need to have a installed JAVA. The software is based on the Eclipse platform (>=3.5) and therefore the application is also available via update site for Eclipse. You may integrate the eezUPnP software into your favorite Eclipse based IDE. To do that use http://eezupnp.de/updates/ as url for the update manager. 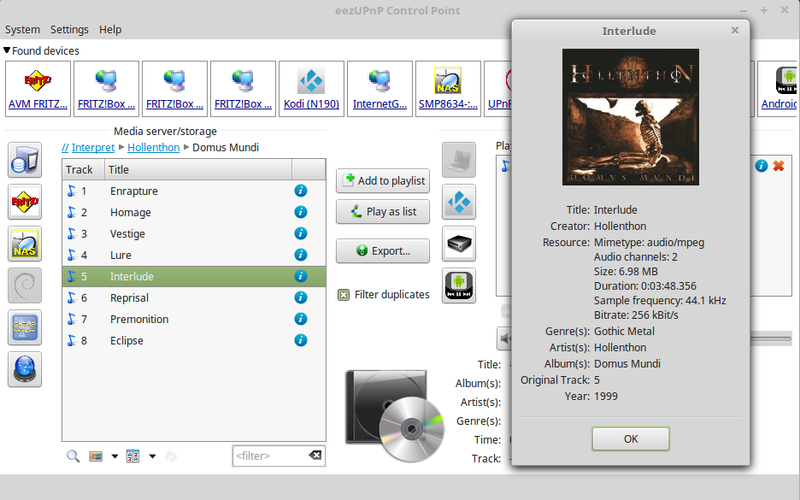 After installation eezUPnP will add a specialized perspective and a view. View authors on license page to find a email adress.